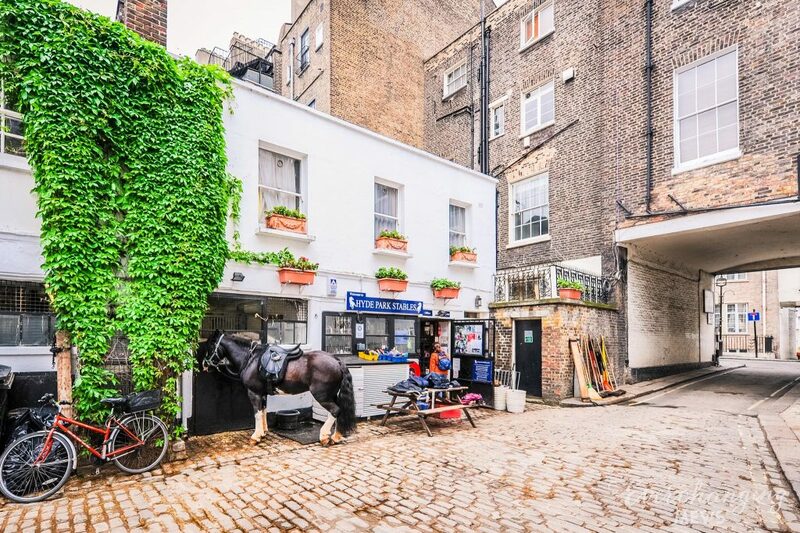 Mews properties have been conflictingly viewed as ‘well situated’ and ‘highly desirable’ but also as ‘cramped and inferior accommodation’ or, even worse, ‘only fit for horses’. Whilst originally small and relatively similar in appearance, they are now more varied in size and have a much greater variety of appearances. Whatever the opinion, few would dispute that Mews are of great interest and worthy of consideration, given their unique qualities and history. They are also highly adaptable since most have had a variety of uses throughout their existence, giving them a unique architectural identity. One of the most quoted facts about Mews is that the name derives from the old french term ‘ Muer’ to moult or to change which was used in conjunction with the keeping of falcons in Charing Cross in the time of Henry VIII. It is said that the birds were housed there in cages during the period each year when they lost their plumage – ‘they were mewed’. The buildings no longer exist but were on the site of what is now Charing Cross station. Although this may explain the use of the term, Mews buildings, as we have come to know them, appeared centuries later as stables for horses and as stores for carriages and coaches, together with accommodation for the attendant staff. Indeed, a defining characteristic of these properties is that they supported a mix of uses; today they would be termed live/work units. Despite the original use of the buildings in Plantagenet times, the subsequent main use for horses directly resulted in a now common feature since Georgian town planning, in particular, required secondary accommodation, such as stables, to be placed in streets behind those in which the grand houses of the middle and upper classes were situated. Today Mews houses are centrally located in what are considered to be some of London’s most attractive and desirable areas and have a variety of functions and characteristics. They can be either leasehold or freehold, although the majority are freehold. They may be part of a grand London estate or not on an estate at all. The vast majority are in conservation areas and many are listed properties. Some have blue plaques, some have colourful pasts and some have underground railways beneath them. Some have other subterranean features and some have been developed, while others have further development potential. This website aims to record the changes in both collective and individual histories.